Adapts 1/4" RO tubing to 3/8"
When I first set up my RODI system, I used an existing needle valve. For the last two years I have constantly had problems with low pressure even using a booster pump. I recently put in a new water connection with 3/8" line. The system no longer has a low pressure problem. I use the reducing 1/4"x 3/8"x3/8" reducing tee push connect so I could use existing gauges and tds meters. Product works very well and made the move to a 3/8" supply line easy. Very well made and sturdy. 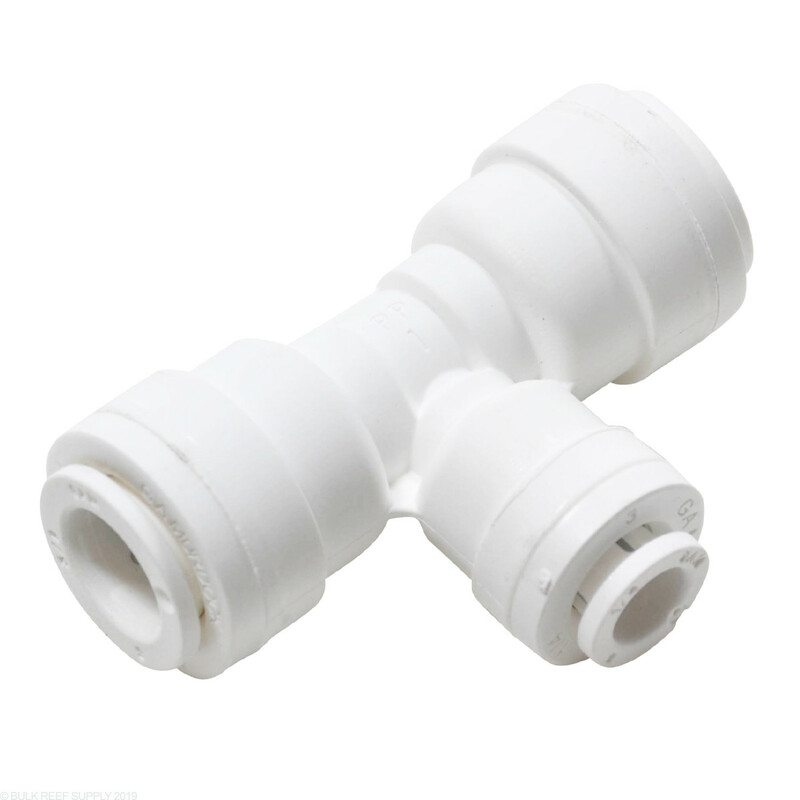 I have purchased over dozen of these so far, and they are connected to our RO system or part of the plumbing on a few tanks. Haven't had a drop leak from any of them, most of which are constantly under pressure. Much higher quality than the few I previously purchased at a hardware store before I discovered these. Which part of the "T" is the 1/4"? Is it the vertical one or one of the horizontal ones? The Base of the T shape will be 1/4" with the left and right side being larger.